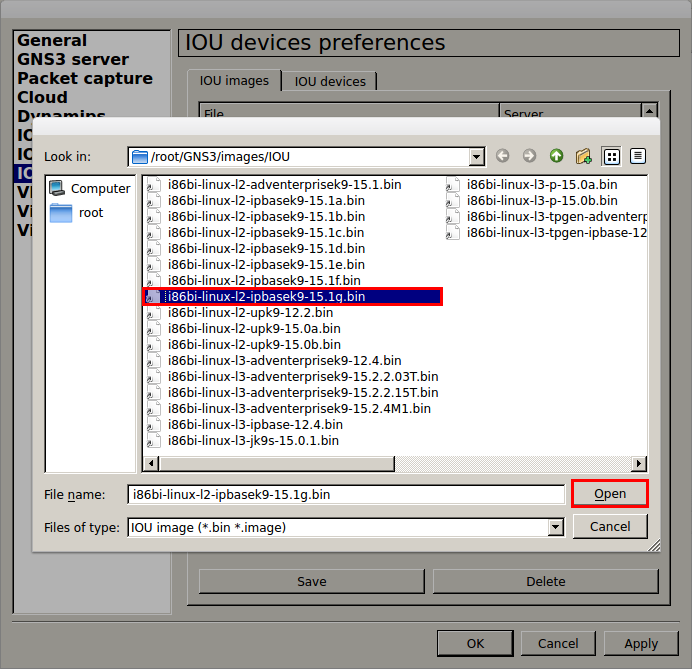 As you may have seen in various posts, it can be a bit tricky to get IOU working for GNS3. The easiest way to get around this is to use a default iourc.txt file that has been configured for a specific hostname and host id. You will still need to exit all your terminal sessions and open them again for this to take effect, but it is still quicker than a reboot on certain systems. Now that we have changed the hostname of the system we must change the host ID to match the host ID that we will use in the iourc.txt file later on in the installation. 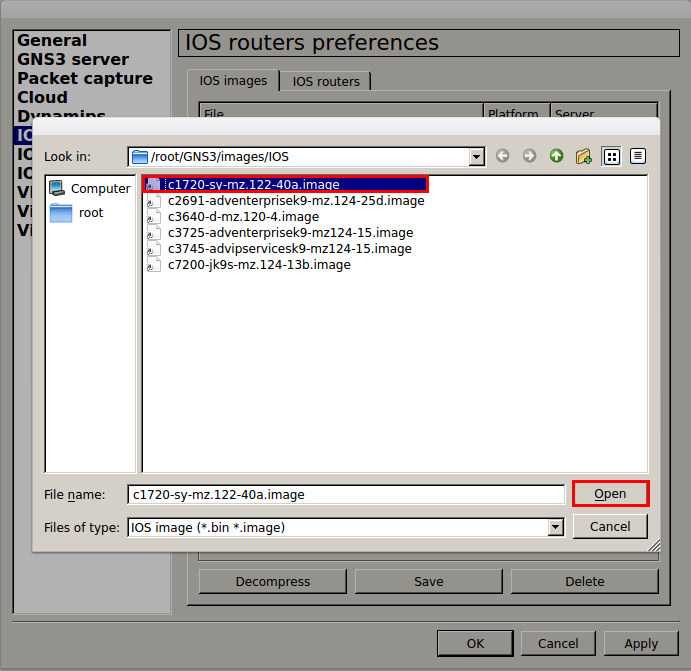 Now that we have the hostname and host ID configured, we can start to get the system ready to install GNS3 and IOU. To get the system ready we first need to install the required dependencies. Dependencies are programs that are required in order for the application you are installing to run correctly. These can be compliers, library files or even certain other applications. tar xf iniparser-3.1.tar.gz cd iniparser/ make cp libiniparser* /usr/lib cp src/*.h /usr/include cd ..
cd dynamips mkdir build cd build cmake ..
root@gns3-iouvm:/GNS3/dynamips/build# dynamips -H 7200 Cisco Router Simulation Platform (version 0.2.14-dev-amd64/Linux stable) Copyright (c) 2005-2011 Christophe Fillot. Build date: Sep 6 2014 14:23:14 Local UUID: bc3a53e6-04f9-4776-8553-a6c7d36699bc Hypervisor TCP control server started (port 7200). Unless you want to run GNS3 from the CLI each time you use it, it is worthwhile setting up an application launcher that you can use to launch GNS3 from the desktop, dock or Unity. 1. 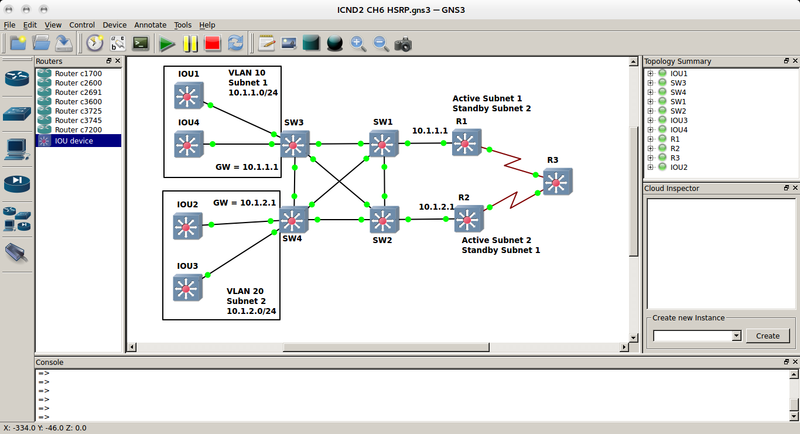 Select an Icon to use for GNS3. 2. Select the type of launcher, In this case we will be using “Application”. 3. 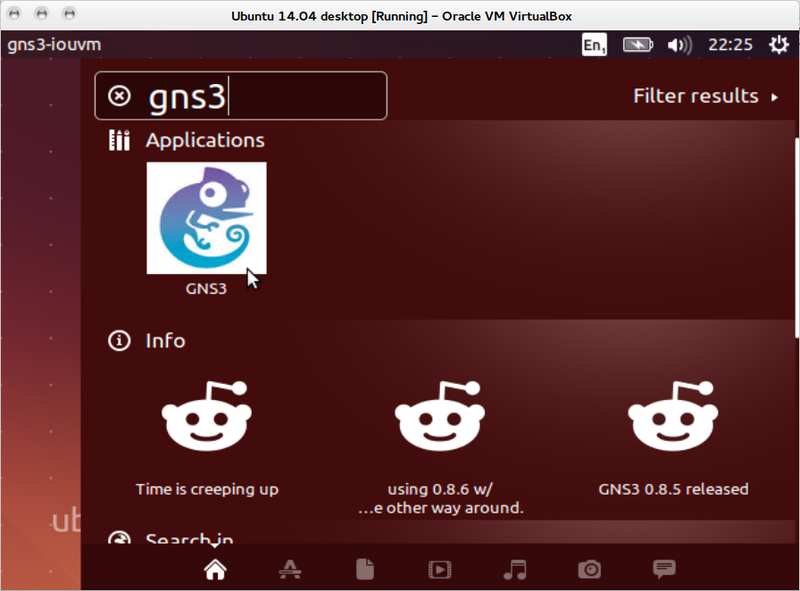 Give the launcher a name, in this case GNS3. 4. 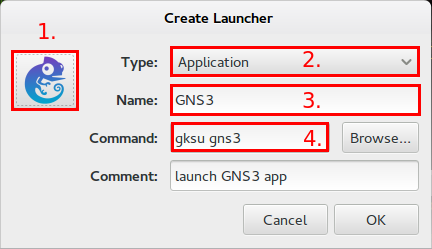 This is the command we will run when clicking on the launcher, “gksu gns3” will run GNS3 as root. Click ok and the luncher will be created. You can now save this to your desktop, dock or run from unity. Enter the preferences by clicking edit->preferences. Next we need to specify the IOS images that we will be using for Dynamips. You can use your Cisco CCO login, if you have one, to download the images or you can scour the net to find the IOS images you need. I will not provide any IOS or IOU images so please don’t ask. Under the IOS routers preferences select the image you want to save using the icon next to the IOS path line. This will open your file manager to select a image. Browse to the image you want to install and click open. After you have selected the image click save and the Image will be saved to your list of IOS images. Next we need to set the path of our iourc.txt file we created earlier. We do this under the IOS on Unix preferences. If you do not set this path, or are using the wrong iourc.txt file you will not be able to start any IOU devices later on. Once you have added all your IOU devices and saved them, click apply to save all the previous settings. That’s, GNS3 is now ready to run any combination of IOU and IOS devices to lab out those examples for your CCNA, CNNP or CCIE studies.